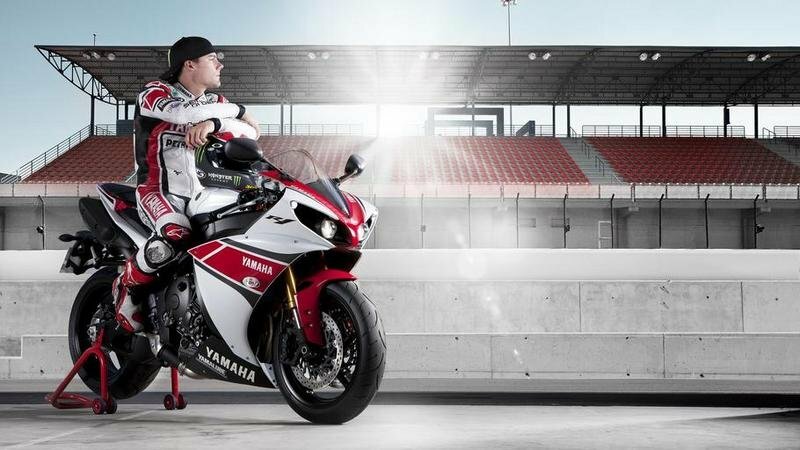 The Yamaha YZF-R1 WGP 50th Anniversary bike comes with an elite new color scheme derived from Yamaha’s Assen TT-winning MotoGP bike. 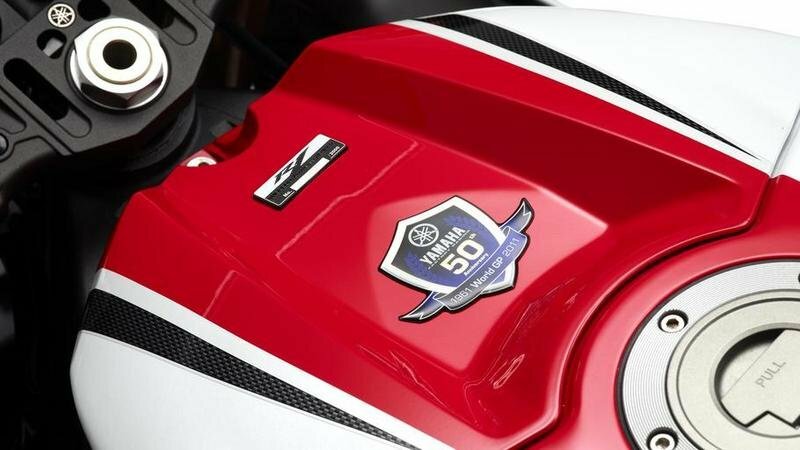 The WGP 50th Anniversary R1 commemorates Yamaha’s notable Grand Prix inheritance. 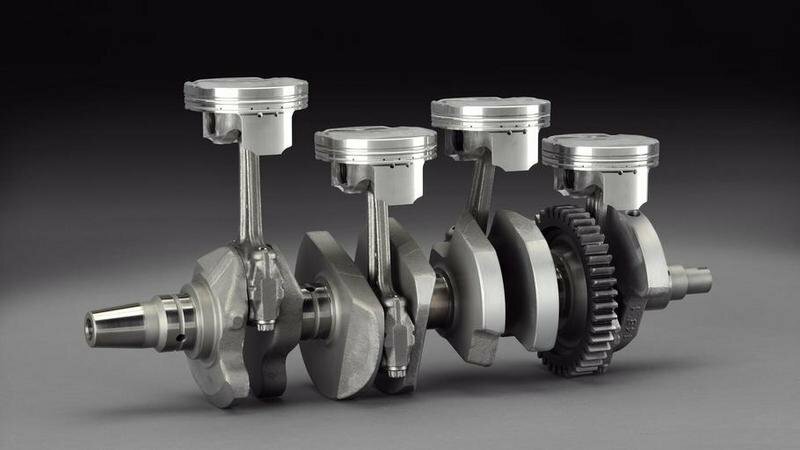 With the MotoGP- expanded TCS, R1 riders can now modify the performance characteristics of the 998cc in-line 4-cylinder engine in order to get more thrilling cornering on the road and reduce lap times on the circuit. 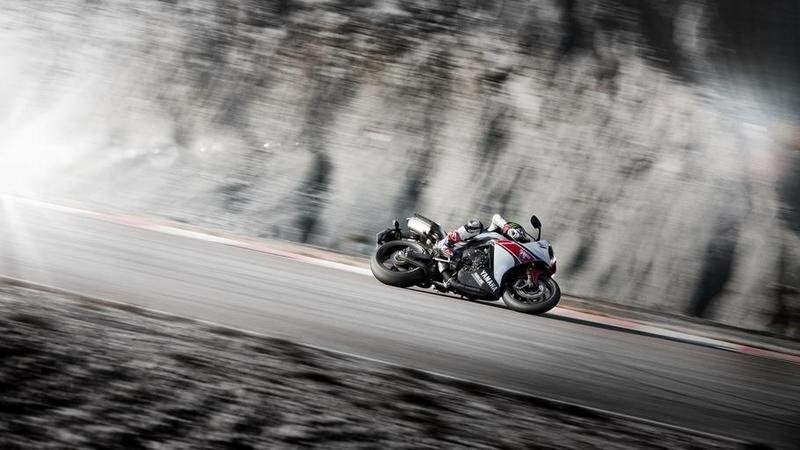 On top of that, the bike also features a new front cowl for optimized high-speed performance. 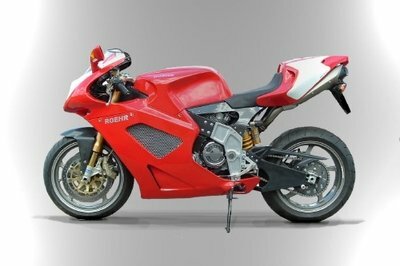 Stylistically, the bike has been garbed in the famous red, white, and black factory-bike color scheme of the WGP R1. 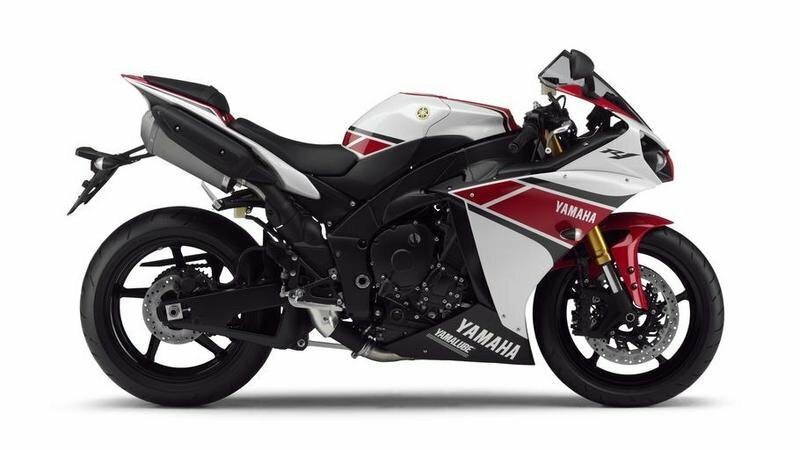 Finally, the YZF-R1 WGP 50th Anniversary’s race-bred technology and race-bred style is incomparable to anything else you can find in Yamaha’s model line-up. Nothing comes close to the look or feel of the new 50th Anniversary R1, proving that there’s some serious claim to the bike’s stature as one of the finest models in its segment today. Find out more about the Yamaha YZFG-R1 WGP 50th Anniversary after the jump. With an exclusive new colour scheme based on Yamaha’s Assen TT-winning MotoGP bike, the WGP 50th Anniversary R1 celebrates Yamaha’s remarkable Grand Prix heritage. Featuring an innovative crossplane-crankshaft with an uneven firing interval, the R1 kicks out high levels of linear torque for superior traction. Using the MotoGP-developed TCS, R1 riders can now adjust the performance characteristics of the 998cc in-line 4-cylinder engine for more exciting cornering on the highway and reduced lap times on the circuit. A compact aluminium Deltabox chassis delivers precision handling – and for optimised high speed performance the latest R1 is equipped with a new front cowl. 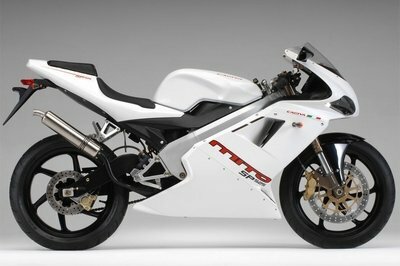 The WGP 50th Anniversary R1 looks better than ever in our famous red, white and black factory-bike colour scheme! 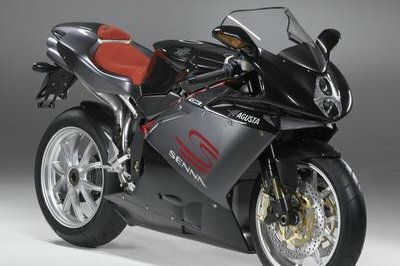 A WSB championship winner first time out, the crossplane-crankshaft R1 is the leading 1000cc in-line 4-cylinder bike on the street or track. For more controllable performance the latest YZF-R1 runs with a MotoGP-developed Traction Control System (TCS). Equipped with 6-modes, the new TCS reinforces the rider’s trust in the bike’s abilities, enabling you to unleash its full potential at the flick of a switch. 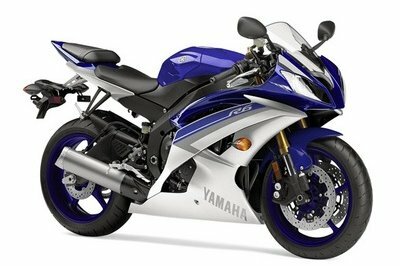 With race-bred technology and race-bred style, nothing comes close to the look or feel of the new 50th Anniversary R1! 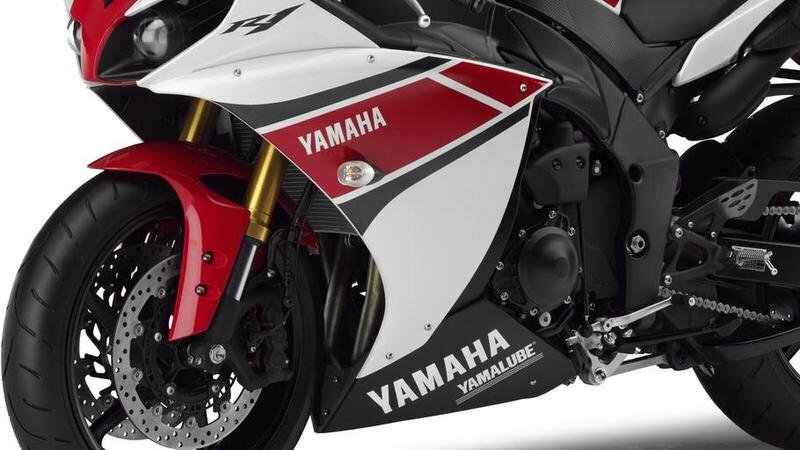 Yamaha’s total commitment to racing has been the lifeblood of the company for over 50 years. Equipped with a short-wheelbase Deltabox chassis, crossplane-crankshaft engine and high-tech electronic control systems, the breathtaking R1 is the embodiment of everything that we have learnt in MotoGP and WSB. 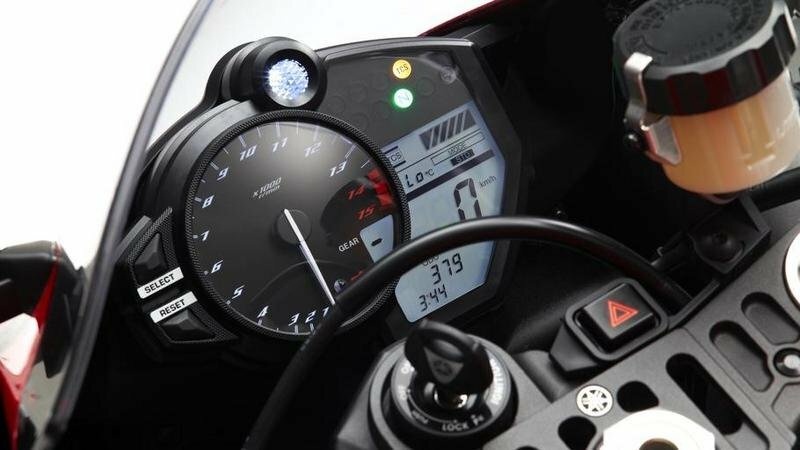 By instantaneously adjusting throttle opening, fuel injection volume and ignition timing when rear wheel spin occurs, the new switchable 6-mode TCS reinforces your trust in the R1’s cornering potential – and allows the rider to extract optimum levels of traction and controllability in different surface and weather conditions. The R1 engine stands head and shoulders above the crowd thanks to its special crossplane crankshaft, which gives an asymmetric firing interval. Developed from our YZR-M1 MotoGP racer, this class-leading design produces a more linear torque output, allowing the rider to find more traction and lay down the high levels of power more effectively. The compact short-wheelbase Deltabox frame has been constructed using a range of gravity die-cast, CF die-cast and extruded aluminium components in order to achieve an idealised balance of rigidity. This sophisticated formula gives the R1 rider remarkable surface feedback for a clear performance advantage on the road and track. For improved aerodynamics the latest R1 is equipped with a new front cowl design with a slightly higher nose, while the menacing-looking ‘eyes’ have been restyled to give even more presence. New LED position lamps benefit from a reflective finish along the lower edge of the eyes to give the R1 a more intense and forceful appearance. The R1 is equipped with one of the industry’s most advanced intake systems. Its YCC-I (Yamaha Chip Controlled Intake) system features electronically-controlled variable-length funnels which work in association with the Yamaha Chip Controlled Throttle (YCC-T) to deliver super-efficient combustion and a smooth and linear power output over a wide rev range. WGP 50th Anniversary R1 owners will be presented with an exclusive Ownership Certificate to authenticate their bike’s pedigree - and you’ll also join the mailing list for the Yamaha ’Insider’ magazine containing the very latest factory news, racing information and interviews. Bikez ---- "With an exclusive new colour scheme based on Yamaha´s Assen TT-winning MotoGP bike, the WGP 50th Anniversary R1 celebrates Yamaha’s remarkable Grand Prix heritage. 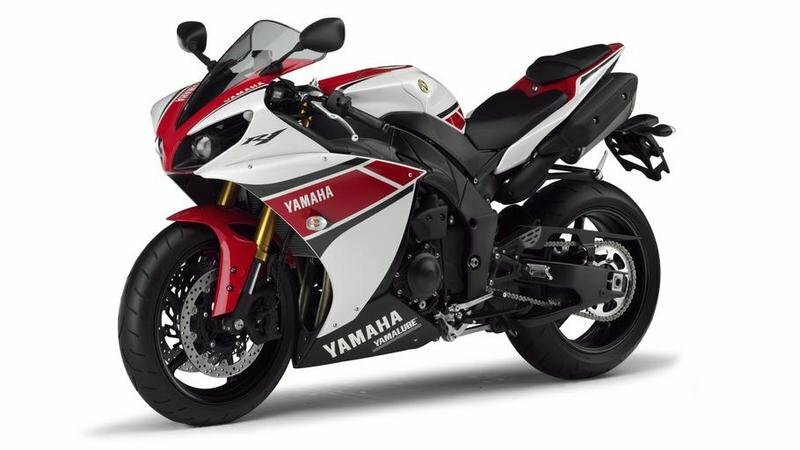 Featuring an innovative crossplane-crankshaft with an uneven firing interval, the R1 kicks out high levels of linear torque for superior traction"
Totalmotorcycle ---- "The 2012 Yamaha YZF-R1 50th Anniversary Edition is unlike anything before. 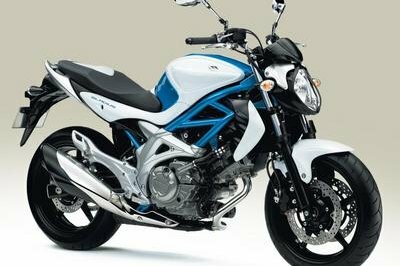 Benefiting from even more MotoGP technology for 2012 with new sevel-level traction control and the World GP 50th Anniversary livery option."